Kotobian Tadau Tagazo Do Kaamatan, Sabah! Grab to the celebrations so you can party to your heart’s content. Of course we know you can hold your drinks, but just to be safe, don’t drink and drive. Enjoy RM4 off x 2 rides to/from KDCA. Promo Value: New & existing users enjoy RM4 off each ride x (2) TWO Grab rides to/from KDCA Cultural Village from 30-31 May 2018. Promo Usage: Valid for cash and GrabPay payments only. Limited for the first 3000 rides daily. Book a Grab ride to/from KDCA Cultural Village with the promo code. This promotion is only valid for GrabCar pick up/drop off at KDCA Cultural Village Kota Kinabalu. Answer 3 questions correctly in our in-app quiz and you stand a chance to win a year’s worth of promo codes! Find the quiz on our Grab app. 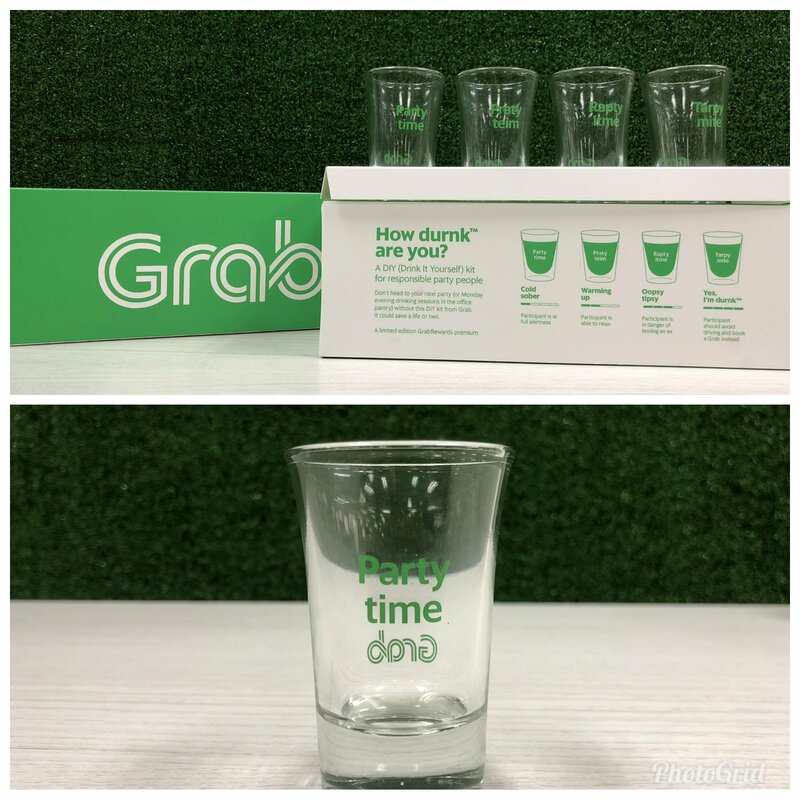 40 x Grand Prizes: RM5 off 10 Grab rides for 12 months, + 1 set of Grab-branded drinking glasses. 60 x Consolation Prizes: RM3 off x 1 ride. “Who’s the Kaamatan Quiz Pro?” quiz contest will run from 30th to 31st May 2018. All entries (by filling the quiz submission form) received after 11.59pm on 31st April 2018, will be voided (“Entry”). Only one entry per participant will be counted to stand a chance to win a prize (“Prize”). There are 50 Prizes to be won daily. Participants are required to fill up all sections of our winners’ form to be eligible. This contest is open for MALAYSIANS ONLY. The Prize is non-transferable, non-cumulative, cannot be exchanged for cash or other products and must be redeemed within a specific time frame which shall be advised by Grab. If the Prize is not redeemed during the specific time frame, the winner’s Prize will be forfeited and Grab shall be entitled to select another winner in accordance with the process described above. The prize winner consents to the use by Grab and its affiliated companies for an unlimited time, of the winner’s image, photograph, name and Entry (if applicable) for publicity purposes (in any medium), and in advertising, marketing on promotional material without additional compensation or prior notice and, in entering the quiz contest and submitting an Entry, all participants consent to the same. Grab accepts no responsibility for any costs associated with the Prize and not specifically included in the Prize. Participants are required to provide us the phone number in which their Grab account is registered to. Failure to do so may prevent our promo code from working. Every 50th entry (e.g. 50th entry, 100th entry, 150th, entry, and so on) will be selected as winners. The first 20 entries in this sequence will win the grand prize, and the following 30 entries in that same sequence will win the consolation prize. The number of entries are reset at the start of a new day. Prizes will be delivered within 10 business days of the end of the quiz period, via mail. Grab reserves the right to select the winners at its sole and absolute discretion. Grab reserve the right to amend these terms and conditions at any time, without prior notice. Grab’s decision is final and no further correspondences will be entertained. The Campaign will run on 30-31 May 2018. The Organiser reserves the sole and absolute right to alter or end the Campaign at any time prior to the expiry of the Campaign Period without giving any prior notice and no compensation in cash or in kind shall be given.